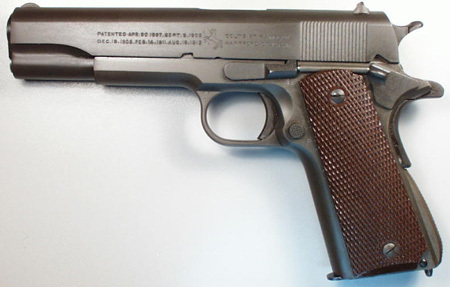 This is a Colt Model 1911A1 pistol manufactured in 1941. As compared to the M1911, the M1911A1 has a curved mainspring housing, shorter trigger, larger front sight and enlarged grip safety tang among other features/changes. This 1911A1 is well preserved and would be a fine addition to anyone’s collection.